In today’s post I’m going to share my top 10 blog posts for 2014 here at OnlineMLMCommunity.com. I launched this website in April 2013, because I really love the network marketing industry and I want to help others become successful. As of December 31, 2014, our site has nearly 800 pages of content and I add at least 300 to 500 new pages each year. Pumping out new content is a lot of hard work, but I really enjoy it. What I enjoy even more is helping people and knowing that people get value from my website. I find it very interesting to study trends on my website and see what type of information people are actually searching for. I hope you will check out each one of these pages and leave a comment below to tell me which one is your favorite. Number ten on my list is my join my team page. This is where people visit to learn about my business opportunity. The reason this page is so popular is because I promote the heck out of it. I have a lot of links pointing to it, my business cards drive traffic, and I do additional marketing tactics. The traffic for this page does not come from the search engines. Visit my join my team page. Do you like jewelry? There are lots of great jewelry companies in the network marketing industry. This top 10 list will help you find the best company for you to work with. Check out the top jewelry company list. Who doesn’t want to get paid for using their cell phone? There aren’t too many companies in the network marketing industry that specialize in cell phone services. This list provides my top four cell phone companies to choose from. Read the post about top cell phone companies. Tons of people on the internet want to know which company has the most six figure earners. It’s hard to really know the right answer, since most companies do not disclose the earnings of their top earners nor do the reveal exactly how many people earn six figures. I do my best to share my analysis and thoughts. The comments on this post really have a life of their own. Read more about which MLM Company has the most six figure earners. I am really surprised that this was not my # 1 most visited post on the entire website. This is my formula for building your MLM Online. It’s a long and very popular post. It took me HOURS and HOURS to create this one. It’s definitely my favorite post on my website. 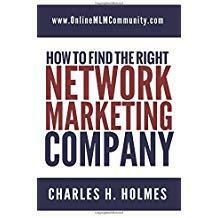 Check out the post about building your MLM online. There are literally thousands of companies in our industry, especially if you consider all of the ones that have gone bankrupt and are now defunct. If you were to rank the companies by their annual sales, this list would be pretty easy to do. But, I believe there are many other factors to consider to include number of years in business, numbers of distributors, reputation, etc. This is a guest post on my blog. I don’t necessarily agree with all the rankings, but it isn’t that bad. Check out our list of the top 50 MLM Companies of all time. This is no surprise. I’m guessing most of this traffic came from people linking to me, from links I’ve built myself, from my email signature files and from comments I’ve left on other people’s blogs. Check out our home page. There’s no surprise this one made my top 10 list. Herbalife is an industry leader, one of the big boys. Many folks in the company are looking for new and effective ways to promote, market, and grow their Herbalife business. This post offers a lot of helpful tips. Check out these Herbalife Marketing Tips. This was my most popular post in 2013 and it came in at number two this year. I never realized how many folks in Advocare were looking for success tips online. It has inspired me to write other posts about Advocare, which is one of the best companies around. Read my post about Advocare Success Tips. This post took me many, many hours to write. I am a big fan of Amway, even though I am NOT a distributor with the company. In this post, I give it my best stab to rank the top distributors of all time, based upon how big of an organization they had, how many downline leaders they had, their reputation, their tenure in the business, how much money they made, etc. The list is subjective, but I think it’s pretty accurate. Read it and tell me what you think. Read about the top 27 Amway distributors of all time. There you have it folks. These were my top 10 MLM Blog Posts of 2014 for my blog, OnlineMLMCommunity.com. I’d love if you would check out each post, like it on Facebook, and share it with your friends. Tell me which post was your favorite. To share your thoughts, just leave a comment below. I look forward to hearing from you. I think my favorite post is the one on building your MLM business online. I especially found the tip about making lists useful. So many people starting out in this business do not even know where to begin. It is wonderful that you share your knowledge and wisdom with others. The post that is my second favorite is the one on Advocare, because I am a consumer of their products. Personally, of all of these, I really liked reading #5 which is the top 50 MLM companies of all time. I know it had to take a lot of research in making that post, and I commend you for it. I also was impressed with the one Diamond mentioned-Build your MLM online. That was a very well written post also. I am also not surprised with the list of MLMs with the most people as six figure winners. Just curious Chuck…Do you put keyword and phrases or do you just let them fall where they will? In many cases it is those keywords that will gain you hits from the search engines. I don’t do any keyword research. I just write about things that interest me. I greatly respect that. So many bloggers are so focused on keywords and phrases that many of the articles they write sound terrible. They try to install the keys in the article and they are usually misused and sound out of place. Yes, maybe the article goes high in Google at first, but what happens is their bounce rate goes through the roof. People start reading the article and immediately click away to another website. In time, articles that were written from the heart will climb in rankings; it just takes patience. I have to say that your post “How to Build Your MLM Online” was a huge help to me. We all want to build our MLM, but it can be overwhelming figuring out how to do so. All of the details and information you offered in the post gave me a lot to think about, but ultimately it helped me to formulate a strategy for building my MLM business online and I have been implementing that strategy since that post with great success. Thanks! I’m glad you liked my post about building your business online. Some of these do surprise me. I understand that people want to know about Amway Diamonds, but I never thought it would be number 1. I would have thought your Home page would have come in first. I have always found that with websites I have owned in the past, the Home page usually gets the most hits. I was also quite surprised with the Advocare tips position. I know Advocare has gained a lot of ground in MLM in recent times, but I never assumed it would do that good. It is interesting to see these statistics. Thank you for sharing them.